Another hidden figure inside a video. Disney just loves to do this sort of thing. Go to the Sketch to Shelf video and watch until 48 seconds in. There you will find the above imagine. 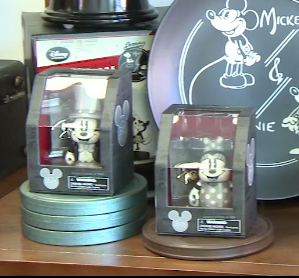 Now this does nto appear to be the “Classic Minnie” we saw that is going to be for sale at D23, however the video says these are D23 items. Interesting…. What do you think? 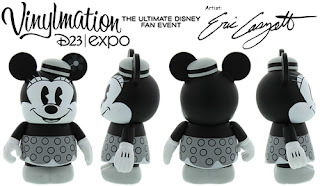 I personally really enjoy the fancy Mickey. 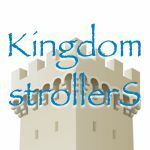 I’m gonna have to try to get one of those for myself! The movie leads us to believe the room is full of D23 Expo merchandise. Does that mean both Minnies will indeed be on sale at the Expo? I need all three black and white vinyls!